I might have completed all of John Grisham's legal thriller novels, but I am still far from reading all of them. My pile of John Grisham to-read list is getting even higher, especially now that he is about to publish his 30th novel called Camino Island. In fact, he will not be publishing only one novel for his adult readership this year, but two! This one will be released this summer and if you are used to reading a Grisham book every October don't worry because his next untitled legal thriller will be available by then. 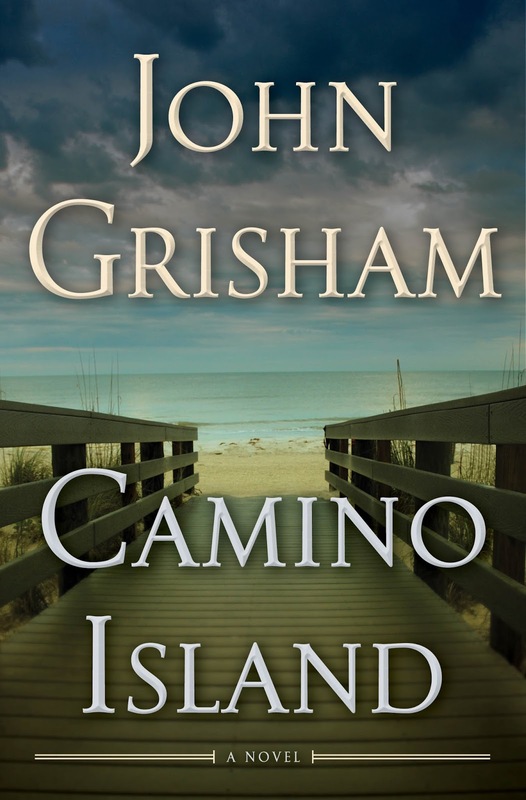 Check out the official cover of Camino Island by John Grisham. I am just delighted the that popular John Grisham cover designs and typeset are back. A gang of thieves stages a daring heist from a secure vault deep below Princeton University’s Firestone Library. Their loot is priceless, but Princeton has insured it for twenty-five million dollars. Mercer Mann is a young novelist with a severe case of writer’s block, who has recently been laid off from her teaching position. She is approached by an elegant, mysterious woman working for an even more mysterious company. A generous offer of money convinces Mercer to go undercover and infiltrate Bruce Cable’s circle of literary friends, ideally getting close enough to him to learn his secrets. Camino Island by John Grisham will be released on June 06, 2017.